A group of Police Academy graduates are sent to train a group of newly recruited civilian officers. 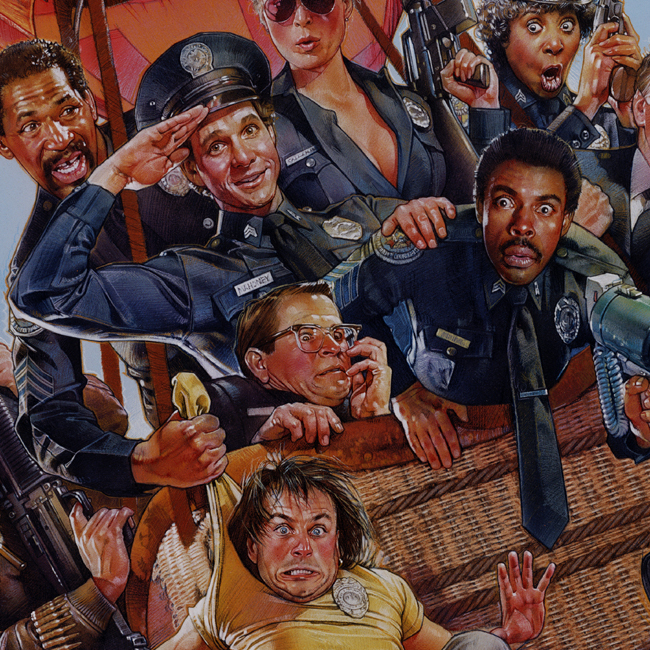 The original Police Academy cast reprise their roles in the film. Capt. Harris, not seen since the first installment, returns as the film's nemesis. In Police Academy 2 and 3, Capt. Mauser (played by Art Metrano) filled that role, but Metrano was severely injured in a fall after filming number 3, and asked to be replaced for the remainder of the series. Signed and dated on gondolla bottom right corner "drew '87"